The industry announcements around auto-related technologies such as autonomous driving, electric/hybrid vehicles, ridesharing services and more have been coming so fast and furious lately that it seems to be a foregone conclusion that everyone wants all this stuff. The reality, however, isn’t that clear. In order to gauge real consumer interest, TECHnalysis Research recently conducted a survey of 1,000 US consumers who currently own a car and are planning to purchase one over the next two years. The results paint a fascinating picture of the things that matter most to them and those that are less important. The bottom line? There are definitely pockets of interest, but they don’t neatly line up with the various stories and agendas that members of the tech and automotive-related industries are currently trying to foist onto our collective consciousness. First, it’s clear that consumers are moving at a slower pace towards technology adoption than many in the industry are willing to admit. Though interest in automotive technologies is growing, the influence of these technologies on car purchase priorities is still small. Survey respondents were asked to rank their purchase priorities on both the car they currently own and the one they are planning to buy next. From a list of 12 characteristics, such as price, looks, car size/type, performance, etc., autonomous driving features and an electric/hybrid drivetrain ranked dead last, even for future purchases. Figure 1 highlights the top-level results (note that a lower number means a higher priority). Second, many consumers seem content with getting modest, incremental technology improvements in their future car purchases. Unlike tech-centric markets, such as smartphones, where people are starting to wait for fairly dramatic feature and technology advancements before they make a new purchase, new car buyers are looking for simpler changes. One of the biggest changes in priority between a consumer’s previous car and their next, for example, is an increased interest in in-car WiFi connectivity. Even still, as Figure 1 shows, that technologically simple capability only ranked 8th on the list of 12 characteristics for future car purchases (and 9th for existing car purchases). Third, some of the tech-related features that are of interest are focused on safety. 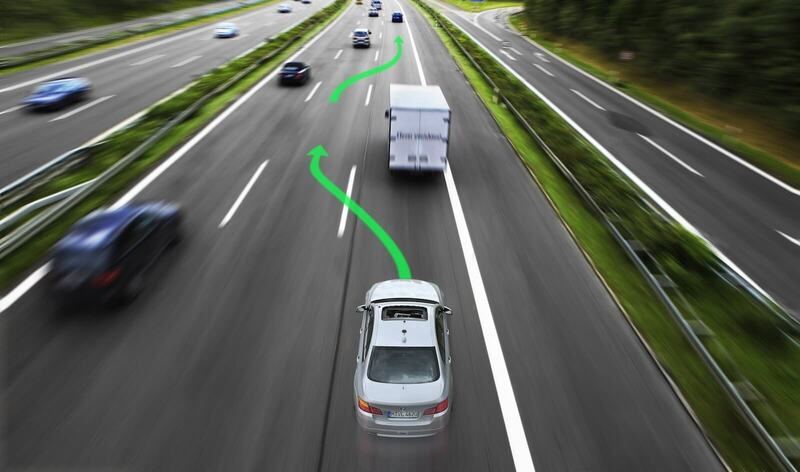 For example, in a ranking of seven different types of autonomous features, the clear favorites were blind spot warning with automatic intervention, followed by smart front and rear cameras that tied to automatic braking systems. These are great new technologies to be sure, but not the whiz-bang autopilot-type modes that many automobile and tech companies are focused on. Figure 2 shows the complete rankings for autonomous features (again, a lower number means a higher ranking). In terms of bigger picture automotive technology, it’s also clear that there’s more interest in autonomous features than there is electric or hybrid drivetrains. As Figure 3 illustrates, in virtually every age and gender breakdown, the percentage of those who expressed a modest or greater interest in a car that offers some autonomous driving features is higher than the percentage of those from the same group who wanted a car with either an electric or hybrid gas/electric engine and drivetrain. This is a bit challenging to current industry narratives, because many of the more advanced autonomous capabilities seem to be tied to electric cars. The type of advanced features found in Teslas and expected Tesla competitors, for example, are only available with electric engines. Consumer sentiment, however, would suggest that automakers and car suppliers should think about bringing more autonomous features to traditional gas-powered combustion engines. Consumer sentiment would suggest that automakers and car suppliers should think about bringing more autonomous features to traditional gas-powered combustion engines. One interesting characteristic of both autonomous driving-related features and electric/hybrid engines is that they are very divisive among consumers. For instance, autonomous features had both the highest percentage of consumers showing some level of interest in them (as shown in Figure 3), as well as the highest percentage of consumers who said they have absolutely no interest in those features. Electric/hybrid engines ranked seventh on a separate list of 11 automotive technologies that respondents rated in terms of importance (pure electric engines were last on the list), but hybrid engines actually received the most #1 votes in that poll at 19%. However, because hybrid engines also had so many lower ratings, their overall average number was brought way down. These survey results reflect the challenges that automakers, suppliers, and tech companies are going to have in trying to make more advanced automotive technologies mainstream. There are clearly some consumers who are eager and excited to get into these new tech-savvy cars, but based on real-world feedback, it looks to be a very modestly-sized group. Next week I’ll dig into the impact (or not) of ridesharing services on car usage and potential purchases.